ServiceNow, Inc. is a cloud computing company headquartered in Santa Clara, California. Founded in 2004 by Fred Luddy, ServiceNow provides cloud-based solutions that define, structure, manage, and automate services for enterprise operations. ServiceNow offers a variety of solutions for IT, HR, Security under the Now platform. ServiceNow® IT Service Management (ITSM) helps consolidate fragmented tools and legacy systems while automating service management processes. macOS previously Mac OS X and later OS X, Roman numeral "X" pronounced "ten") is a series of graphical operating systems developed and marketed by Apple Inc. since 2001. Founded in 2008 as an APM specialist vendor, AppDynamics offers both an on-premises and SaaS- based APM solution with a common architecture for both deployments. AppDynamics was acquired by Cisco in March of 2017 as a new software business unit in Cisco's Internet of Things (IoT) and Applications department. The AppDynamics solution includes APM, end-user monitoring and business performance monitoring, with additional capabilities offered through the App iQ platform. Nexthink provides digital experience management for the enterprise. 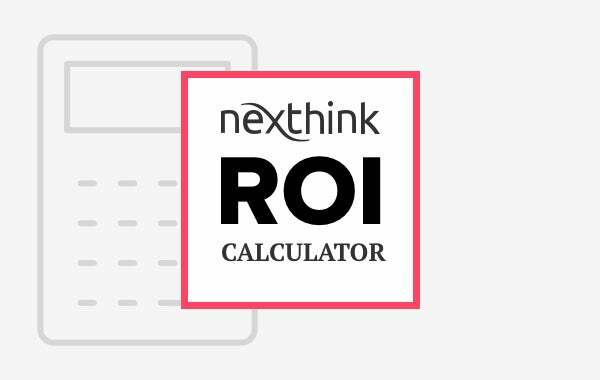 Nexthink combines data collection and monitoring, analysis & intelligence and communication, with the ability to take automated action and engage with employees to gather the right context for continuous optimization. Splunk is software for searching, monitoring, and analyzing machine-generated big data, via a web-style interface. It captures, indexes and correlates real-time data in a searchable repository from which it can generate graphs, reports, alerts, dashboards and visualizations. PagerDuty is the enterprise incident management service that integrates with ITOps and DevOps monitoring stacks with the goal of improving operational reliability and agility. From enriching and aggregating events to correlating them into incidents, PagerDuty streamlines the incident management process by reducing alert noise and resolution times. EasyVista is a service management platform that automates and personalizes service delivery for employees and other end users. Remedy ITSM is a broad suite of ITSM tools with strong integrations to other BMC tools. The product is used mainly by global brands and is offered in on-premise and SaaS configurations. Citrix Virtual Apps and Desktops (formerly XenApp & XenDesktop) gives employees the freedom to work from anywhere by delivering Windows, Linux, web and SaaS apps plus full virtual desktops to any device, from any cloud. New Relic's software analytics product for application performance management (New Relic APM) delivers real-time and trending data about your web or non-web app's performance. Lakeside Software is a workspace analytics company. Through SysTrack, their flagship solution, Lakeside helps IT teams monitor, analyze and optimize IT environments for business productivity by focusing on the quantified end-user experience. SysTrack gathers and analyzes performance and end-user data from the endpoint. Elastic provides Elasticsearch, a distributed, multitenant-capable full-text search engine alongside a data-collection and log-parsing engine called Logstash, and an analytics and visualisation platform called Kibana. These three products are designed for use as an integrated solution, referred to as the "Elastic Stack" (formerly the "ELK stack"). OpsGenie is an incident response platform for development and operations teams, providing alerts and schedule management escalations. Axios Systems provides deployment of IT Service Management (ITSM) software, assyst, that is purpose-built, designed to transform IT departments from technology-focused cost centers into profitable business-focused customer service teams. Cherwell Software is a privately held American technology company specializing in SIT Service Management and IT Platform products. They are the creators of the Cherwell Service Management ITSM platform. Amazon WorkSpaces is a managed, secure cloud desktop service. You can use Amazon WorkSpaces to provision either Windows or Linux desktops in just a few minutes and quickly scale to provide thousands of desktops to workers across the globe. Jamf Now, formerly Bushel, is a cloud-based Mobile Device Management (MDM) solution for iPads, iPhones, and Macs in the workplace. Logentries makes machine-generated log data easily accessible to IT operations, development, and business analysis teams of all sizes. Cacti is an open-source, web-based network monitoring and graphing tool designed as a front-end application for the open-source, industry-standard data logging tool RRDtool. Cacti allows a user to poll services at predetermined intervals and graph the resulting data. It is generally used to graph time-series data of metrics such as CPU load and network bandwidth utilization. Zenoss Core is a free and open-source application, server, and network management platform based on the Zope application server. Dynatrace remains the largest technology provider in the APM suite marketplace. Despite ownership and corporate structure changes, Dynatrace has been in the APM business since 2005 and visibility of the company for its technology remains high. Aternity provides End User Experience Management (EUEM) solutions that complement traditional Application Performance Management (APM) tools. The company was acquired by Riverbed Technologies Inc. in August 2016 and is now offered under the Riverbed SteelCentral products, an end-to-end solution that combines user experience, infrastructure, application, and network monitoring for a holistic view of application performance. Sumo Logic is a cloud-based log management and analytics service that leverages machine-generated big data to deliver real-time IT insights. VictorOps is an incident management platform that enables teams to collaboratively prepare, react, and recover from IT and DevOps incidents in real-time. SysAid provides an ITSM solution that enables central control over IT operations, including service desk, asset management, and MDM. SolarWinds Inc. develops ITSM software for businesses to help manage their networks, systems, and information technology infrastructure. The company was publicly traded from May 2009 until the end of 2015. It has also acquired numerous companies in the last decade, some of which it still operate under their original brand names including Pingdom, Papertrail, and Loggly. Linux is an open-source software operating system based on the Linux kernel, an operating system kernel first released in 1991. Red Hat Virtualization is a comprehensive, open source, and scalable infrastructure solution for virtual servers and technical workstations. It is powered by the Red Hat Enterprise Linux platform that delivers noticeable ease of use, agile functions, and strong security. AirWatch engages in enterprise-grade mobile device, application, and content management designed to simplify mobility. Papertrail delivers frustration-free log management for developers, systems engineers, and entrepreneurs. Papertrail was acquired by SolarWinds in January 2018. Scalyr offers an integrated suite of server monitoring, log management, visualization and analysis tools that aggregates all the metrics into a centralized system in real time, which can be integrated with cloud services. Icinga is an open source computer system and network monitoring application. It was originally created as a fork of the Nagios system monitoring application in 2009 and is attempting to get past perceived short-comings in Nagios' development process, as well as adding new features such as a modern Web 2.0 style user interface, additional database connectors (for MySQL, Oracle, and PostgreSQL), and a REST API that lets administrators integrate numerous extensions without complicated modification of the Icinga core. StackState is an Artificial Intelligence for IT Operations (AIOps) platform that helps enterprises to lower their mean-time-to-repair and eliminate downtime across all layers of the IT landscape. Monitis, a TeamViewer company, specializes in IT monitoring, covering server, website, app monitoring and more within an all-in-one monitoring platform. ScienceLogic is a software and service vendor that produces information technology (IT) management and monitoring solutions for IT Operations and Cloud computing. The company's main product is a monitoring and management system that performs discovery, dependency mapping, monitoring, alerting, ticketing, runbook automation, dashboarding and reporting for networks, compute, storage and applications. Riverbed SteelCentral is a end-to-end solution that combines user experience, infrastructure, application, and network monitoring for a holistic view of application performance. When it comes to APM, Riverbed SteelCentral offers solutions such as SteelCentral AppResponse 11, SteelCentral AppInternals, SteelCentral NetSensor and the SteelCentral Portal. Catchpoint is a system and application performance monitoring tool from Catchpoint Systems that provide digital experience management insights. Evolven redefines change and configuration management with its Change & Configuration Monitoring solution. Evolven’s software-as-a-service solution enables companies to increase the stability of their IT environments, reduce the risk of production outages, lower operating costs, and cut environment incident investigation time and effort. Statuspage is an incident management / communication tool. Support, IT, and DevOps teams use Statuspage for efficient incident response. Zoho ManageEngine offers enterprise IT management software and high-end functionality of large network management frameworks to enterprises. Samanage, an enterprise service-desk and IT asset-management provider, has its headquarters in Cary, North Carolina. The company's flagship product, Samanage, operates as a multi-tenant, Software-as-a-Service (SaaS) system for IT and enterprise service management. Chrome OS is a Linux kernel-based operating system designed by Google. It is derived from the free software Chromium OS and uses the Google Chrome web browser as its principal user interface. Parallels Remote Application Server (Parallels RAS, formerly 2X RAS), is application virtualization technology, billed as a solution to extend the life of legacy OS (like Windows XP) with its virtual desktop for any device. Quest KACE, formerly Dell KACE, is a company that specializes in computer appliances for systems management of information technology equipment. It also provides software for security, application virtualization, and systems management products. The KACE Endpoint Systems Management Appliance, an IT Asset tracking and management appliance (also available as a virtual deployment if hardware requirements are met). MobileIron Inc. is an American software company specializing in solutions for mobile device management (MDM) and enterprise mobility management (EMM). MobileIron's software allows the management of mobile devices such as smartphones and tablet computers in an enterprise environment, as well as the secure mobile access to enterprise data. Logsene (Sematext) is a log management and analytics platform for IT infrastructure, operations and development teams. It makes all application and server logs searchable and provides log alerting and anomaly detection. Together with SPM it makes log events "correlatable" with performance metrics, thus providing a unified view of all key operations data. Opsview is a software company specializing in enterprise systems monitoring software for physical, virtual, and cloud-based IT infrastructures. SignalFx is a SaaS-based monitoring and analytics platform, brining together data from servers, databases, applications, tools and services to present a unified view of the applications that run at scale in the cloud. LogicMonitor, from the company of the same name, is a SaaS-based monitoring platform for observing website uptime and app functioning. Correlsense is a privately held APM pure-play vendor founded in 2005. Its product, SharePath, provides transaction visibility across much of the entire IT stack and has received several patents for its unique instrumentation approach that goes beyond traditional application server observability. AppNeta provides application performance and end-user monitoring solutions. The vendor says their patented TruPath technology eschews traditional device-centric measurement techniques and instead measures performance along the actual application path, allowing AppNeta to measure application performance across both public and private networks. MicroFocus Operations Bridge offers integrations designed to extend management across 110+ cloud, application and infrastructure domains, and 3rd party management tools to create a strong foundation for unified management of your IT landscape. AlertOps is an Incident Management System that helps IT Operations manage and optimize their alerts from various monitoring systems so as to greatly reduce Alert Fatigue and Mean Time To Resolution (MTTR). Freshservice is a cloud-based service desk and IT service management (ITSM) solution designed using ITIL best practice, to help IT organizations to focus on exceptional service delivery and customer satisfaction. TOPdesk is a service management solution that aims to help users improve customer communication, manage workflows and keep track of assets. According to the vendor, the software is simple and attractive, making it pleasant to use and quick to adopt. On-premises and SaaS deployments are available. Ubuntu is a free and open-source Linux distribution based on Debian. Ubuntu is officially released in three editions: Desktop, Server, and Core. Ubuntu is a popular operating system for cloud computing, with support for OpenStack. Cisco Virtualization Experience Infrastructure (VXI) is an end-to-end systems approach that delivers the next generation virtual workspace by unifying virtual desktops, voice, and video. Cisco Meraki is a cloud managed IT company headquartered in San Francisco, California. Their solutions include wireless, switching, security, mobile device management, communications, and security cameras, all centrally managed from the web. Meraki was acquired by Cisco Systems in December 2012. Loggly is a cloud-based log management and analytics service provider. It does not require the use of proprietary software agents to collect log data. Loggly records log data from any device and reports it in a real-time management platform with trend data. Logz.io is an Israel-based company which provides log management and log analysis services. The platform combines ELK as a cloud service and machine learning to derive new insights from machine data. Observium is a low-maintenance auto-discovering network monitoring platform supporting a wide range of device types, platforms and operating systems. OpenNMS is a java based network management platform developed under the Open Source model. Sensu is a full-stack monitoring platform for dynamic operating environments. Sensu allows engineering and operations teams to consolidate existing monitoring tools without sacrificing the interfaces they depend upon (e.g. Nagios plugins, StatsD libraries, Prometheus exporters, and more). Micro Focus provides, amongst other services such as IT consultancy, enterprise application integration and management software. From mainframe to mobile, Micro Focus (which merged with HPE in 2017) has the portfolio depth and breadth to cover challenges across DevOps, Hybrid IT, Security & Risk, and Predictive Analytics. When it comes to APM, Micro Focus is still a leader with products such as AppPulse (Mobile, Active, Web, Trace) and SiteScope, to name a few. Loom delivers an advanced AIOps platform to predict and prevent problems in the digital business. Nastel Technologies is an information technology (IT) monitoring company that sells software for business transaction management (BTM) and application performance management (APM). BigPanda Inc. enables Enterprise IT to intelligently automate and scale Service Operations to meet the complex demands of the modern datacenter. The company’s Algorithmic Service Operations platform turns IT noise from fragmented clouds, teams, applications and monitoring tools into actionable insights to speed the resolution of IT incidents. Based on the ITIL best practices framework, the SunView ChangeGear product suite improves and streamlines the IT service management lifecycle. By automating IT service management processes, companies gain greater visibility into their IT infrastructure, eliminate system downtime, reduce operational costs, ensure regulatory compliance and improve IT service delivery. Puppet is an open-source software configuration management tool. Chef is an automation platform that transforms infrastructure into code. Chef automates how infrastructure is configured, deployed, and managed across network. Ansible is software that automates software provisioning, configuration management, and application deployment. SaltStack is unique in providing event-driven automation for the scalable and efficient configuration and control of compute, storage and network complexity. JIRA Service Desk is service management software that is purpose-built for IT and service teams. The software provides everything IT teams need out-of-the-box for service request, incident, problem and change management. JIRA Service Desk integrates seamlessly with JIRA software so that IT and development teams can work better together. Users can connect service desk tickets to JIRA software issues and get to the root cause of problems before they escalate. Freshdesk is a SaaS based customer support software for businesses of all sizes. The vendor's value proposition is that Freshdesk is priced affordably, and is free forever for any number of agents. There are four other plans available that come with a whole lot of features. Confluence is a collaboration and content sharing platform used primarily by customers who are already using Atlassian's Jira project tracking product. The product appeals particularly to IT users. SharePoint is a web-based, collaborative platform that integrates with Microsoft Office. SharePoint usage varies from organization to organization. The product encompasses a wide variety of capabilities, most of which require configuration and governance. The most common uses of the SharePoint include: enterprise content and document management, intranet and social network, file hosting service (personal cloud) and custom web application. Zendesk Guide is a smart knowledge base that helps tap into that institutional knowledge and puts it to work. With Guide, you can build a customizable help center, online community, and customer portal so customers get better self-service and agents see improved efficiency and faster resolution. Bloomfire is a knowledge sharing platform that enables employees to quickly find the information they need to do their jobs. Bloomfire's software applications aim to increase virtual knowledge and information sharing in the workplace. Okta is an integrated identity and mobility management service. Built from the ground up in the cloud, Okta securely and simply connects people to their applications from any device, anywhere, at anytime. Okta integrates with existing directories and identity systems, as well as thousands of on premises, cloud and mobile applications, and runs on a secure, reliable and extensively audited cloud based platform. Okta's key highlighted features include: single sign-on, multi-factor authentication and integrated identity & mobility management. OneLogin, Inc. is a cloud-based identity and access management (IAM) provider focused on selling to businesses and other organizations. The company's goals are to use IAM to secure user access to applications and devices, reduce IT time on user on-boarding and off-boarding, and increase end user productivity through single sign-on (SSO). SailPoint is an identity and access management provider that helps organizations deliver and manage user access from any device. The SailPoint platform offers four distinct products and solutions, including IdentityIQ. RSA Security is a provider of security solutions for business acceleration and security activities. RSA SecurID Access is an enterprise-grade multi-factor authentication and access management solution that lets organizations consistently and centrally enforce dynamic risk-driven access policies aimed at providing continuous, seamless authentication. Centrify is a company that offers Identity and Access Management and Privileged Identity Management to secure access across computer network and cloud computing environments. The Centrify Identity Platform includes Application Services, Endpoint Services, Infrastructure Services and Analytics Services, protects against the leading point of attack used in a data breach ― compromised credentials — by securing users as well as its privileged accounts. Vectra Networks is a U.S. business headquartered in San Jose, California, whose products monitor internal network traffic to identify in real time cyber-attacks that are in progress. Tanium is a security and systems management solution that allows real-time data collection at enterprise scale. In addition to the Open Source Security Information Management (OSSIM) project, which helps network administrators with computer security, intrusion detection and response, AlienVault offers a paid security platform, called Unified Security Management, that integrates threat detection, incident response, and compliance management into one solution. Symantec Endpoint Protection, developed by Symantec, is a security software suite, which consists of anti-malware, intrusion prevention and firewall features for server and desktop computers. Exabeam is a security and privacy management company that provides advanced security and information management (SIEM). ObserveIT is an Insider Threat Management software company. ObserveIT provides insider threat security solutions, including employee monitoring, user activity monitoring, behavioral analytics, policy enforcement, and digital forensics. Aspera is a provider of software asset management solutions that give companies a fresh, actionable perspective on software assets, license position and future investments. Aspera's SAM solution helps to evaluate audit risks and savings potential. Hundreds of enterprises worldwide rely on Aspera, including over 35 Fortune Global 500 companies. Flexera views the software industry as a supply chain, and makes the business of buying and selling software more transparent, secure, and effective. Flexera's Vulnerability and Software Asset Management (SAM) solutions strip waste and unpredictability out of buying applications, helping companies purchase only the software and cloud services they need, manage what they have, and reduce license compliance and security risk. Snow is a SAM provider that helps organizations contain and optimize software spend and achieve compliance with complex software licensing terms across mobile, desktop, data center and cloud solutions. Snow’s solutions provide highly automated reconciliation of license entitlements to actual software usage, installations/ removals and license upgrades as well as advanced analytics which help customers save up to 30% of their annual software expenditure. Please feel free to publish, present, modify or enhance this piece, but please always include a link to the original Periodic Table of ITOps Tools here. There is an embeddable version of this table that you can include in your article. When complete, tweet your article @nexthinknews. There are high quality images you can use in presentations here. Provide a link to this page in your presentation underneath any visuals. If you would like to modify, enhance, or otherwise change this piece for your personal use we ask that you maintain a link to our original work. Also please let us know what you're done! We love seeing how people use this piece creatively. Please provide an unbiased and accurate description of the tool. Any descriptions with superlative language will be immediately discarded. Please provide a link to the .svg version of your logo. Please provide a link to the .svg version of your icon. This periodic table was painstakingly defined, curated, and programmed by the following Nexthinkers. Guidance provided by our trusted advisors Tim Flower, Prabhu Kaliaperumal, Francois Miquel, and Thomas Klein. Create a customised periodic table based on the tools you currently use. We are glad you love the Periodic Table! * The tools on this table are grouped based on their primary function. This does not necessarily mean they do not have more comprehensive capabilities. 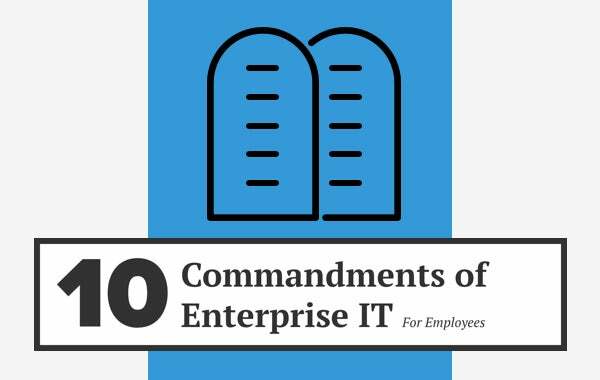 The number of tools for IT ops professionals to choose from is overwhelming. We created this periodic table of IT ops tools to better define, organize, and present the IT ops tooling landscape. 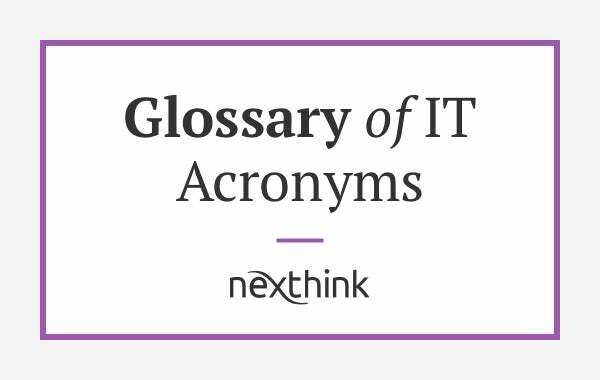 It is our hope that it will help IT professionals find, explore, and choose tools for their future IT ops stack. With former chemists on the team, we tried to build in insights where we could. However, due to the limited scope of the table itself, time constraints, and the differing nature of the material, we were quite challenged to fit everything in the construct provided by the original periodic table. One example of how we did this was by placing ITSM vendors such as ServiceNow, BMC, Solarwinds, Cherwell, and Ivanti in the Noble Gases. Their respective suites, and the individual tools of which they are composed, could easily have dominated the entire periodic table. For this reason we placed them in the Noble Gases to represent the fact that, in many ways, they offer a full service solution that renders them stable and inert. They rely very little on external tools provided by many vendors. Please use the comments section to let us know what you think. We would love your ideas on how to make this table even better. Based on your feedback and submissions we will attempt to release a V2 in 3-6 months. If you don't see something you want on the road map please leave a comment for us.